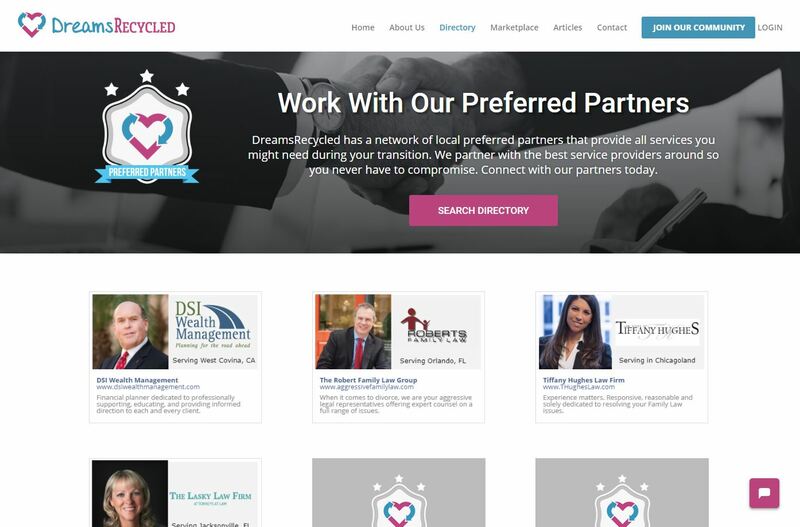 Be one of the first partners in your region to advertise to DreamsRecycled users. 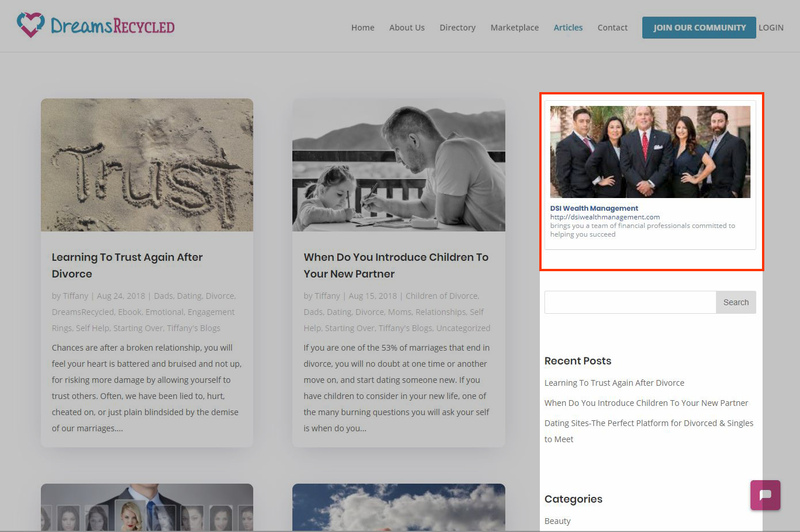 DreamsRecycled.com is a one of a kind website, specializing in all things divorce it is actually the largest Divorce website in the USA. We are the only website that combines a specialized marketplace to sell your items. With educational blogs, and the largest divorce community in the world. Where Preferred Partners are Featured? The homepage is the best place for capturing attention to conversion. All ads show in rotation on both the desktop and mobile versions of website. Advertisers are exclusive in their geographic area in their industry, IE only one Divorce attorney per area. 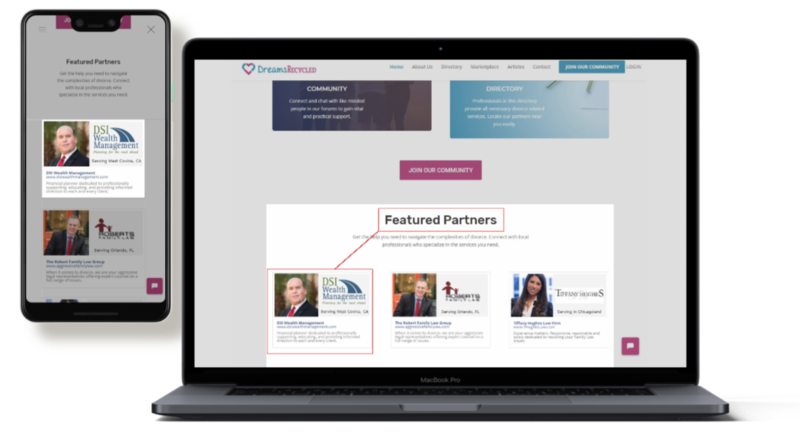 Become a trusted resource on our Preferred Partner Page. All users view this page before our main directory lisiing platform. Advertisers are exclusive in their geographic area in their industry, IE only one Divorce attorney per area on the page. The article page has a lot of advice to offer where readers consume helpful blog content. All ads show in rotation on the side bar. 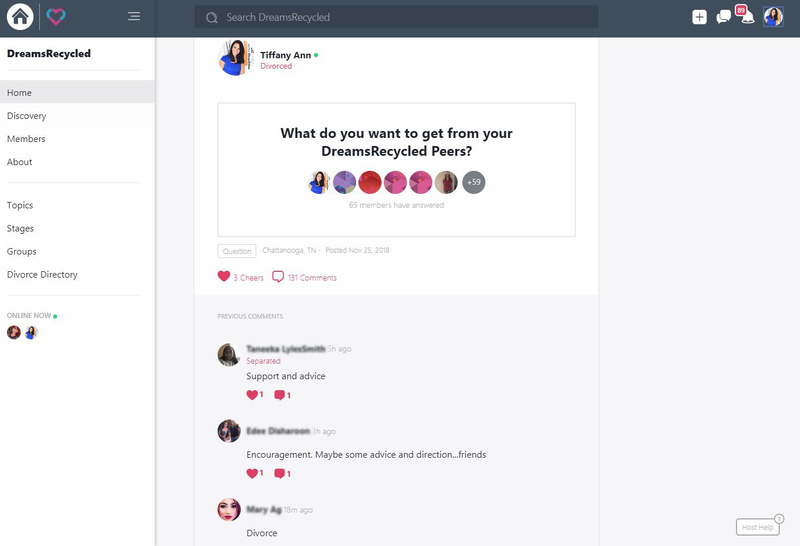 The community has a newsfeed area where members spend the most time discovering helpful content and connections that matter. This is the perfect place for people to learn, follow and explore what you’re offering. Our members are overwhelmed with the process of divorce. 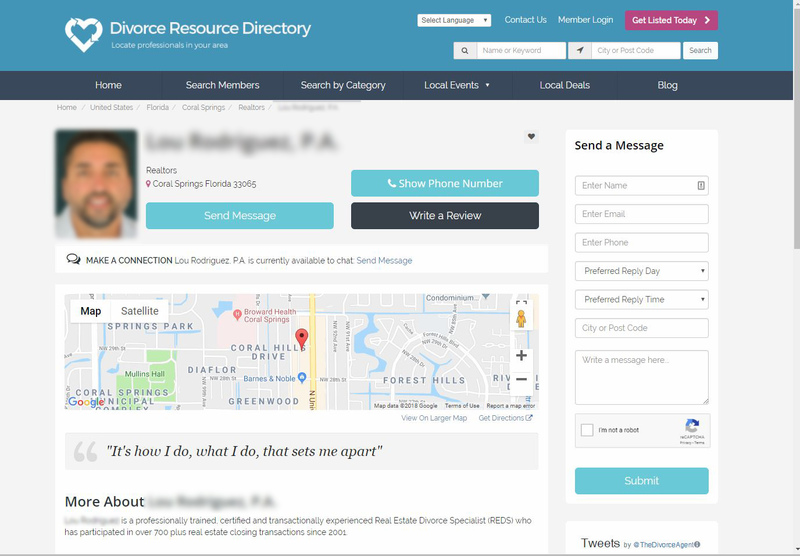 We are on a mission to put Divorce Experts on the map. A mention or interview in a nationally recognized online media source. A guest spot on our podcast or webinar series- as an expert in your field. A blog written about your company, and services provided on Dreamsrecycled.com. Click below to lock in your region today. To join our network as a preferred partner please schedule a call with Tiffany via our email correspondence.